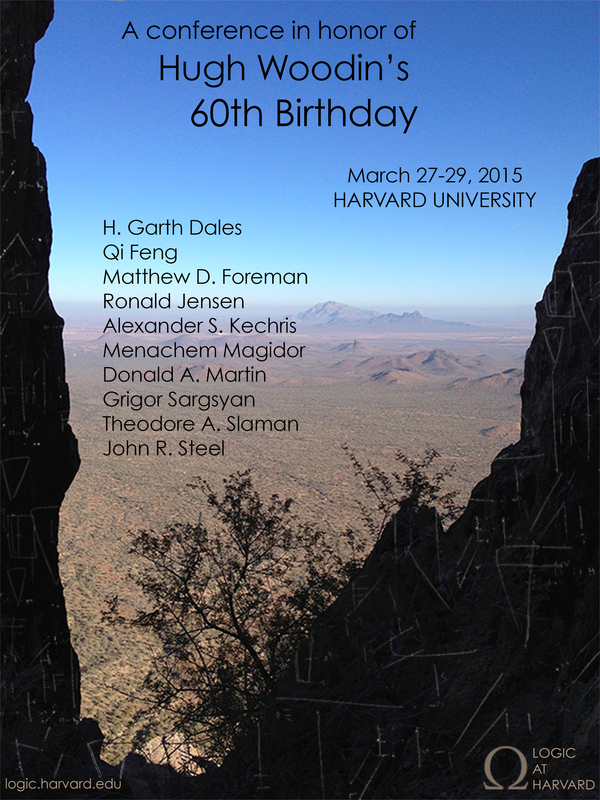 I am pleased to announce the upcoming conference at Harvard celebrating the 60th birthday of W. Hugh Woodin. See the conference web site for more information. Click on the image below for a large-format poster. This entry was posted in Events and tagged Harvard, W. Hugh Woodin by Joel David Hamkins. Bookmark the permalink. The poster is a master work! Particularly because the talented designer added Woodin’s “thought signs” on the cliffs in the same style that our cave dweller ancestors used to do about 20000 years ago! Next time when we’re writing something on the blackboard we may think about this correspondence between mathematical diagrams and cave paintings which both are a kind of artistic work!